Eskisehir Osmangazi University Journal of Economics and Administrative Sciences has been selected for coverage in Clarivate Analytics products and services. 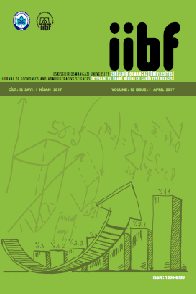 Beginning with V. 12 (1) 2017, this publication will be indexed and abstracted in Emerging Sources Citation Index. You must submit your papers on DergiPark system which appropriate to our submission policy. Please contact iibfdergi@ogu.edu.tr for your questions about the process.